The inline alpine season is already in full swing. This trend sport is getting more and more popular. 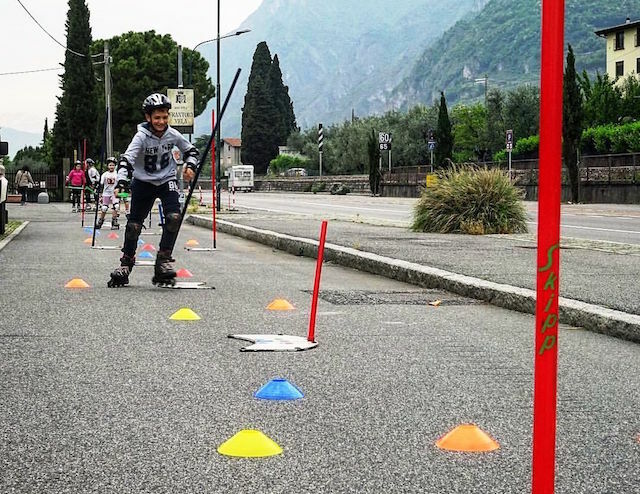 The motion sequences are very similar to those of slalom training on skis, and as you have to be extremely well centered on the roller skates, inline alpine represents a very good training opportunity for situations when conventional race training on skis is impossible. Therefore, inline alpine is a topic of interest also in summer training for professional skiers. One of the reasons for its enormous future potential is that it can be practiced virtually anywhere. The requirements are suitable bottom panels and slalom poles and a stretch of road with ideal deline. This can be in any rural or urban area.